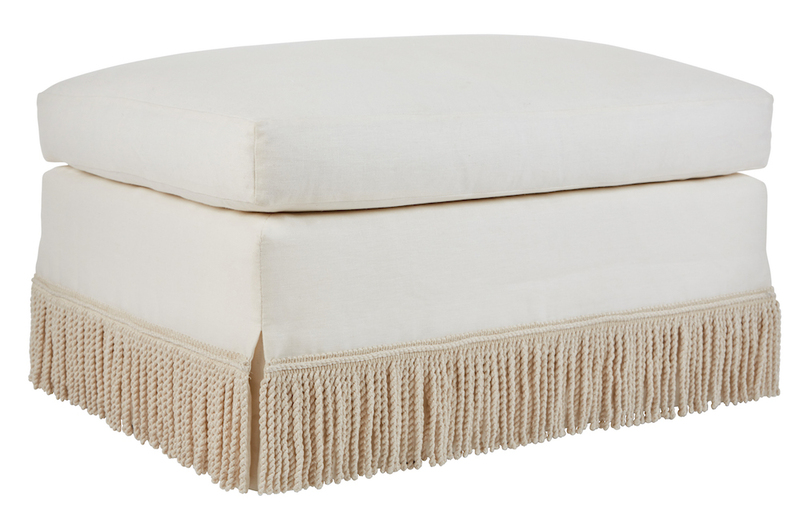 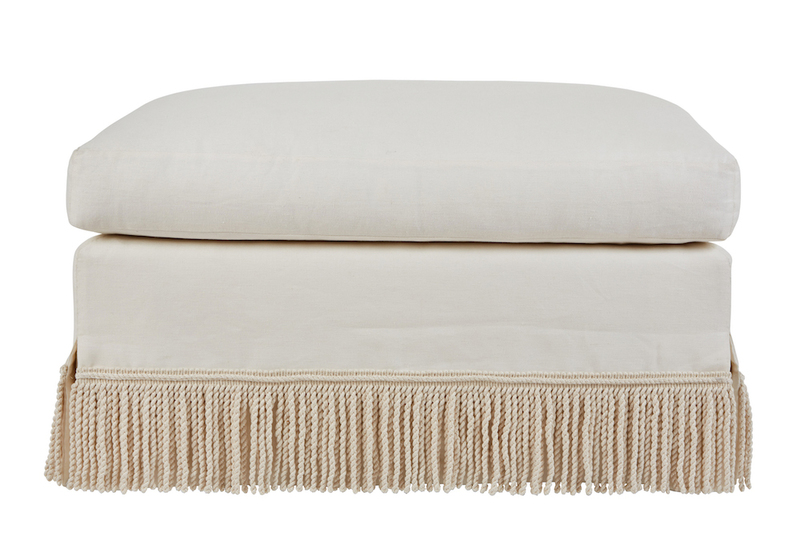 Upholstered ottoman by Kristen Buckingham. 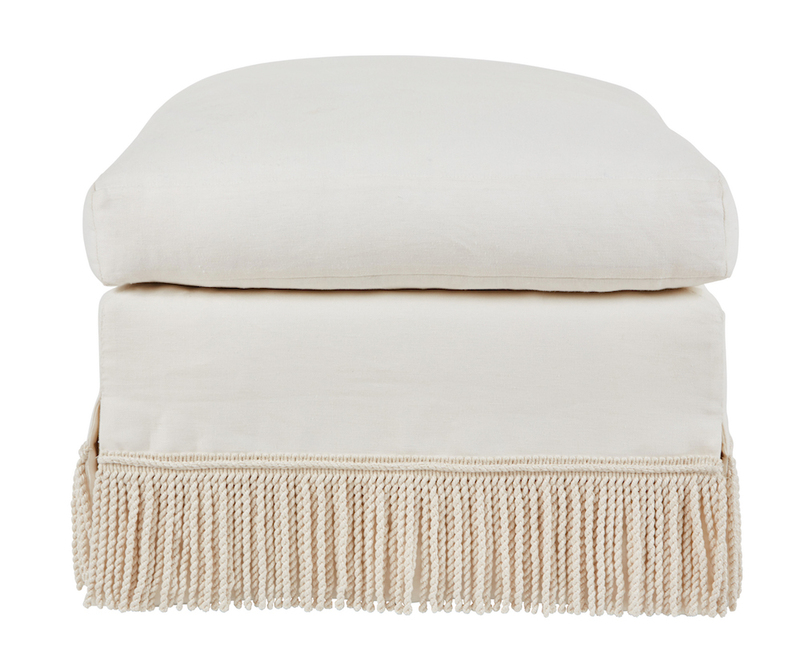 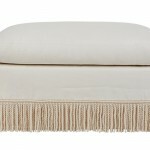 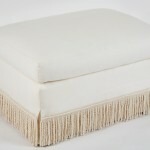 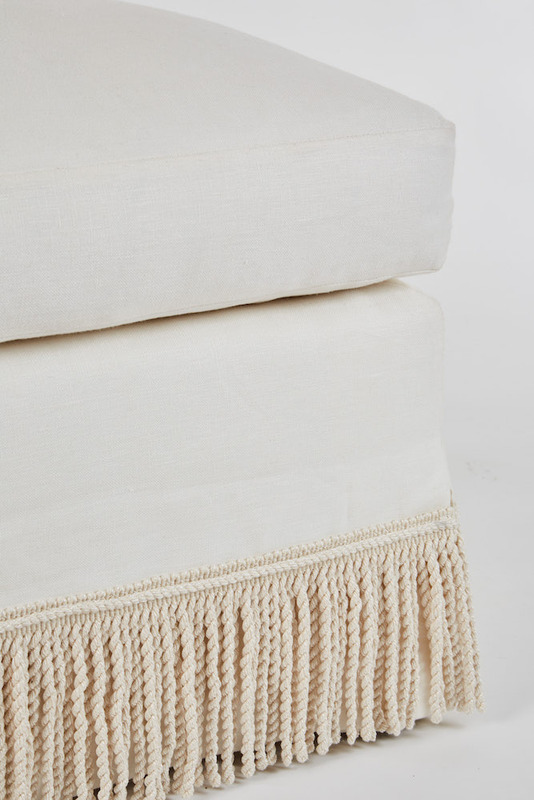 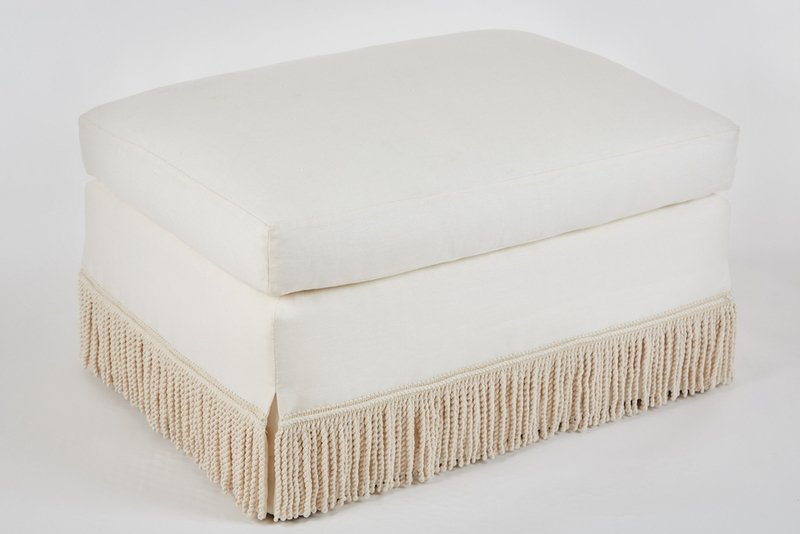 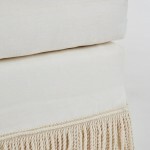 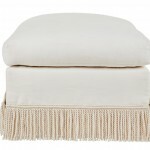 Shown upolstered in white Belgium Linen. Features attached top cushion.